As thoughts are turning to the 2019 MOTUL FIM Superbike World Championship battle, during the SBK Commission, held on the 30th November, in Madrid composed of Gregorio LAVILLA (WorldSBK Sporting Director, Chairman), Takanao TSUBOUCHI (MSMA) and Paul DUPARC (Deputizing for Rezsö BULCSU & secretary of the meeting), also present Charles HENNEKAM (FIM CTI Coordinator), Scott SMART (FIM WorldSBK Technical Director) and Daniel CARRERA (WorldSBK Executive Director), the CET Standard Time Schedule was confirmed, providing the final shape to the weekends format. Saturday offers a big change in the format as the Tissot Superpole will now become one single Qualifying session for all classes. The final results of the WorldSBK Tissot Superpole will decide the grid for WorldSBK Race One and Sunday´s Sprint Race, now branded as the Tissot Superpole Race. 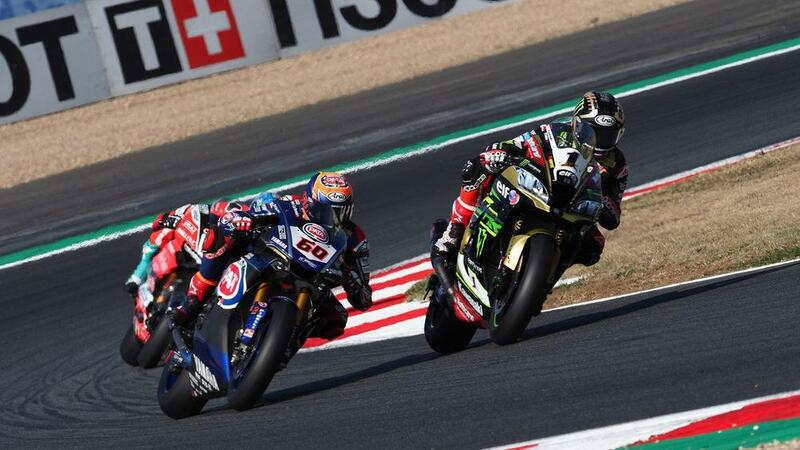 For the World Supersport 300 Championship, the riders not qualifying for their first race will also have a ‘Last Chance’ race to follow on from Qualifying. The top six finishers of this race will secure the final six places on Sunday’s grid.